DETROIT -- SUVs and a big pickup truck will get top billing at Detroit's auto show this year, but there are some surprise sports cars and electric vehicles on the agenda. 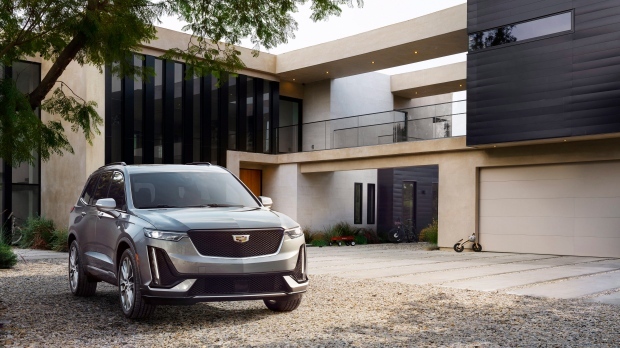 The marketing folks at General Motors' Cadillac brand are hoping the new XT6 big SUV will carve out a niche in the crowded market for utilities with three rows of seats but aren't so huge they're considered trucks. The six- to seven-passenger XT6 has a chiseled Caddy look and unique premium luxury materials to set it apart, but it's going against well-appointed luxury versions of the Chevrolet Traverse, GMC Acadia and Buick Enclave, as well as entries from BMW, Audi and other automakers. It's also got the same engine as the other brands, a 3.6-litre V6 that puts out 310 horsepower, and a nine-speed automatic transmission. The XT6 has a suite of standard safety features including automatic emergency braking, blind spot detection and rear cross traffic alert. 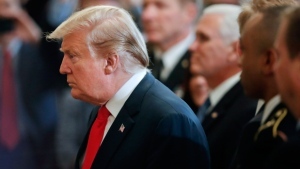 It goes on sale in the summer as a 2020 model in the U.S. Price and gas mileage weren't announced. 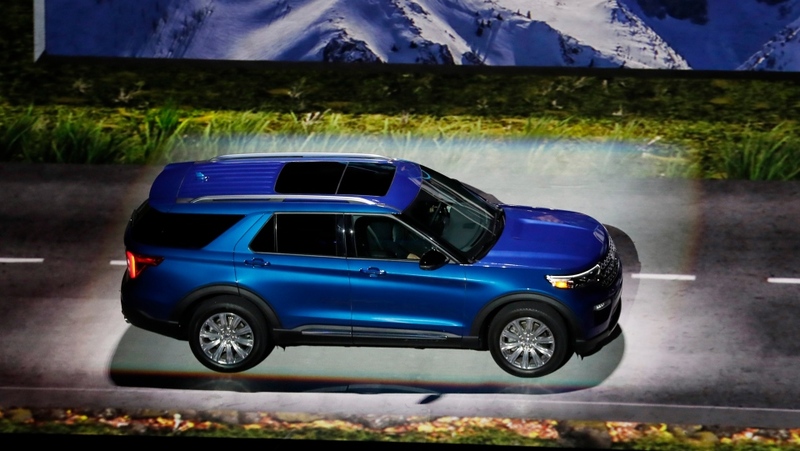 Ford's aging Explorer big SUV is getting a major revamp as it faces growing competition in the market for family haulers with three rows of seats. The company unveiled the new version last week at Ford Field, and will display it again at the auto show. The Explorer, last reworked for the 2011 model year, gets a top-to-bottom update that includes a switch from front- to rear-wheel-drive, as well as updated engines and transmissions, some nice standard safety features and even high-performance and gas-electric hybrid versions. The SUV's appearance doesn't change much, but the roof line does slope more from front to back. Ford also added more interior space and second-row seats that tip and slide forward with the touch of a button. The base engine is an updated turbocharged 2.3-litre four-cylinder with 300 horsepower. There's also a 365 horsepower 3-litre turbocharged V6. The base price will rise $400 from the current $32,365 excluding shipping. Fuel economy wasn't announced. The Chicago-built Explorer goes on sale in the summer. Rather than exiting the sinking U.S. midsize sedan business like two of its Detroit competitors, Volkswagen is staying in by updating the Passat for 2020. But it's not spending huge dollars developing a new chassis or replacing engines and transmissions. VW did give the car new sheet metal (except for the roof) to make it look sportier and tweaked the existing 174-horsepower 2-Liter turbocharged engine. It also revamped the electrical system to handle more advanced driver assist features such as now-standard automatic emergency braking and blind spot detection. Passat U.S. sales were down 32 per cent last year but could get a boost because Fiat Chrysler got out of the midsize car market and Ford will exit soon. The new Passat arrives in dealerships in mid- to late-summer. Price wasn't announced, but VW is trying to keep it close to the current base of $25,295 excluding shipping. The heavy-duty Ram pickup that's designed to do serious work isn't just for serious work. Yes, the new version for 2019 to be unveiled in Detroit comes with an optional 400-horsepower, 6.7-litre six-cylinder Cummins diesel with 1,000 foot pounds of torque that can tow more than 35,000 pounds and carry 7,680 pounds in its bed. But it also gets a smoother ride, softer interior finishes, and can come with real wood and leather and an optional 12-inch touch screen and 17-speaker Harman-Kardon sound system. The mammoth grille on the new version is 30 per cent larger than the current one and the fenders are a bit lower. "It's still big-rig styling," says Joe Dehner, head of Ram exterior design. The truck comes standard with a 410 horsepower, 6.4-litre V8. It loses 143 pounds from the current model thanks to an aluminum hood and lighter high-strength steel under the hood. Price wasn't announced. The heavy duty, built in Mexico, goes on sale in April. For those who want to race at the track on weekends and drive to work on Monday, there's the 2020 Lexus RC F Track Edition. The bulked up track version of the freshened RC F performance coupe gets better aerodynamics due a fixed rear wing and lower front spoiler, both made of carbon fiber. The RC F refresh helped the car lose 176 pounds over the previous version, and the track edition loses another 55 pounds due to lighter wheels and brakes and a titanium exhaust system. Yet the brakes are bigger to handle the heat of the track. Both versions share a 472-horsepower 5-litre V8. But the RC F Track is slightly faster from zero to 60 mph at 3.96 seconds. The new versions will get to showrooms around April. Price and gas mileage weren't announced.